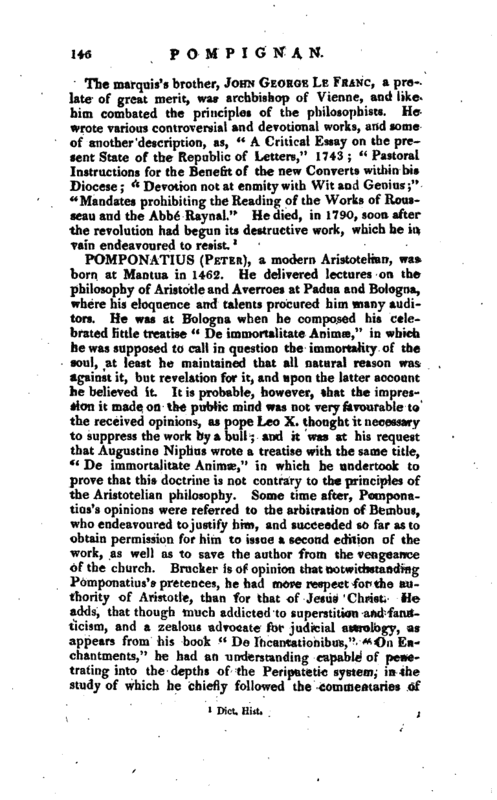 study of which he chiefly followed the commentaries of | Aphrodisaeus. His writings, though barbarous and inelegant in style, discover great acuteness and subtlety of thought. He also wrote a treatise on “Fate and Free will.” He died in 1525. 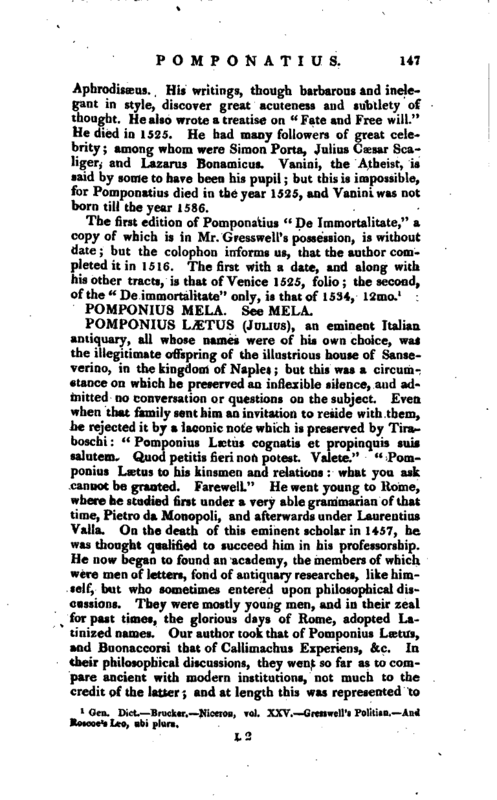 He had many followers of great celebrity among whom were Simon Porta, Julius Caesar SeaJiger, and Lazarus Bonamicus. Vanini, the Atheist, is said by some to have been his pupil but this is impossible, for Pomponatius died in the year 1525, and Vanini was not born till the year 1586.